At TermLife2Go, we look far and wide to find the best life insurance companies in the marketplace. One gem that we came across was Great-West Financial. In the following Great-West Financial Review, we will take a closer look at the company’s history, financials, ratings, products and services. Is Great-West Financial the right insurer for you? History – Within the life insurance market, we can find some of the oldest companies in the whole country. In the past, we’ve dealt with several and we have another today in the shape of Great-West Financial. Forming in 1891, the company started in Manitoba before then opening their very first US office fifteen years later in 1906. In the early years, they were establishing themselves within the market and decided to move into group life insurance in 1920. As they navigated the Great Depression like so many other companies at the time, they actually claimed their largest contract in 1934 with the American Dental Association. Ever since, they’ve expanded their product offering and we’re going to see exactly where they are today within this guide. Financials – Thanks to a release of their 2016 annual report, we can see the financial position for Great-West Financial which is great news because this allows for a full picture. For example, we see that they have admitted assets of over $18 billion. Furthermore, their net income figure stands at over $100 million which suggests just how large their company is today. With customers right across the country, they’re financially secure and the next section goes to prove this even further. A.M. Best – With every life insurance review, we like to start with A.M. Best since they have a rating for every single company; even the companies where the other agencies don’t really focus their attentions. When it comes to Great-West Financial, we’re lucky enough to have a financial rating from nearly every single agency which leaves us in a superb position to judge how strong the company is now as well as where they should be in the future. Starting with A.M. Best, they have a rating of ‘A+’ which is the second-highest of all the ratings. These days, only the largest companies can get themselves into the top two ratings so this is good progress from Great-West Financial and the history spanning back over a century is likely to have helped with this. Fitch – Next up, we have the three financial agencies that judge companies on their credit and overall ability to pay all liabilities and claims that come their way. If they can’t play their claims moving forward, we can’t trust them as a company and we’d need to look elsewhere for our insurance needs. Luckily, Great-West Financial has one of the top financial ratings of AA. Once again, this allows us to be confident in the company’s ongoing ability to meet its financial obligations. Moody’s Investor Service – With an extensive history in the market, Moody’s provide ratings that can be trusted and they’ve provided the company with a rating of Aa3. In the grand scheme of things, this is the equivalent of ‘Excellent’ and it comes out as the second-highest score. As you might have noticed, they aren’t quite in the top category for any of the agencies but this isn’t a concern. 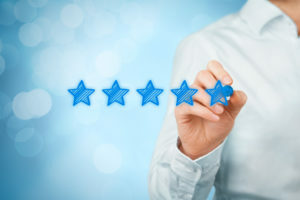 In truth, it’s extremely tough to get into the top rating and Great-West Financial are well above the grades you’d be looking for as an absolute minimum. Standard & Poor’s Ratings Services – Finally, the rating from S&P has given the company a rating of AA and this is categorized as ‘Very Strong’ within the second-highest rating in the whole system. Therefore, we really don’t have any concerns regarding finances. Sometimes, we like to play devil’s advocate and bring in an area for improvement but Great-West Financial has some of the strongest ratings you’ll find. Considering all the agencies tend to agree with each other, this is a huge advantage. Better Business Bureau (BBB) – With no concerns regarding the financial position of Great-West Financial, perhaps there’s different news regarding the Better Business Bureau? Designed to measure all businesses and their relationship with customers, actions within the market, and various other criteria, the BBB has awarded the company with an ‘A+’ rating which is the best available. Scoring over 97 out of 100, it’s safe to say Great-West Financial is a solid choice as we progress to the available products. There are numerous financial products available from Great-West Financial and they’re split into four categories; annuities, life insurance, investment options, and business solutions. Life insurance policies are issued under Great-West Life & Annuity Insurance Company. As always, we’ll take a brief glimpse at them all but the life insurance niche is where our real interest lies. Great-West Financial offers both term life and permanent life insurance. It is important to understand the differences between term life vs whole life insurance in order to make an informed decision on which product and features will best suit your specific needs and goals. The policy is single premium universal life, which allows you to make a one time lump sum payment for your coverage. The purpose of the policy would be to allow you to transfer your assets to your beneficiaries through a tax favored estate planning vehicle. Great-West Financial offers whole life insurance, which offers the typical guarantees inherent in this type of coverage. Whole life offers guaranteed fixed premiums, guaranteed cash value accumulation and a guaranteed death benefit payout. You can also access you cash value through tax free life insurance loans, which allow you to borrow the funds from the carrier, using your cash value as collateral. An accelerated underwriting life insurance policy that provides term lengths of 10 and 20 years and provides a lump sum death benefit to your beneficiary if you do not outlive the term. Finally, the last term life insurance policy is called Summit Term and it’s available for those who are happy to undergo full underwriting. As promised, we’re going to take a little look through the other products on offer from Great-West Financial because you might find a need for something else. For example, we’re starting with the annuities and they actually have six different products. In addition to the Great-West Smart Track II 5-Year Variable Annuity, you could also select the SecureFoundation SmartFuture, Smart Track II Variable Annuity, Schwab OneSource Choice Variable Annuity, Schwab Advisor Choice Variable Annuity, and Smart Track Variable Annuity. Ultimately, all six annuities are great ways to save money and provide an income stream in retirement and, as you can probably see, there seems to be a focus on variable annuities. As well as offering annuities, Great-West Financial also offers investment options. If we take the Great-West Lifetime Funds as an example, it has been created to provide a dynamic asset allocation throughout each phase of your life. With many people living up to thirty years even after retirement, there are several investment options you can choose. In fact, you can even select between active and passive investment management depending on what meets your needs. While the Lifetime Funds are the most popular products, you can also select the SecureFoundation Funds and Profile Funds. Before making any decisions, feel free to assess the options fully and talk to a finance professional who can provide advice on your own unique scenario. Finally, the fourth department for Great-West Financial and their last area of expertise. If you own a business, you might be interested in Corporate-Owned Life Insurance (COLI), Bank-Owned Life Insurance (BOLI), 162 Bonus Plans, Group Retirement Plans, or Non-Qualified Deferred Compensation Plans. Whether your main aim is to protect your life and provide a death benefit for your loved ones or to save some money for your retirement, Great-West Financial provides opportunities to do so. As long as the product meets your needs, there’s no reason why you shouldn’t choose this particular provider. Before you get back to your day, we sometimes like to go through the customer service options for life insurance companies because this can help you to see the type of experience you’d have with a policy in place. If you want to access your IRA or retirement plan account, there are separate web URLs to use and this is a fantastic start. After this, there are several phone numbers depending on whether you own a life insurance policy or an annuity. With each number, there’s also an accompanying email address and we love this type of organization. Rather than sending an email to the main office and hoping it gets passed on, this system allows you to know your message is going to the right department. If you prefer traditional mail, there’s a mailing address and the company is also present on social media. Considering they have the highest grade on offer by the Better Business Bureau, perhaps we shouldn’t be surprised they have an extensive customer service system available.